How do I manage user defined fields for catalog registration? As a Catalog admin, you can manage all of your user defined fields for a catalog by managing your catalog. 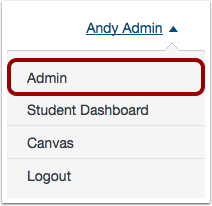 User defined fields display in the user registration page when a user first registers for a course or program. Information in user defined fields can only be collected as part of new user registrations; the fields do not display when existing users enroll in a course. When user defined fields are created in the parent catalog, the fields can automatically be applied to each subcatalog. However, you can choose to create your own user defined fields in each subcatalog. User defined fields can be exported using the Catalog API. In the User Menu, click the Admin link. Click the name of the parent catalog. Click the User Defined Fields tab. The User Defined Fields tab shows you the field name , the label , and the field type . To add a user defined field, click the Add Field button. To edit a field, click the Edit icon . To delete a field, click the Delete icon . If you are viewing a subcatalog, any existing user defined fields in the parent catalog will automatically apply when the Inherit UDF from [parent account] button is enabled . The user defined fields will appear but will be uneditable . If you don't want the subcatalog to inherit the fields from the parent account, disable the Inherit UDF... button . Click the Add Field button  to add your own custom field. Previous Topic:How do I add a subcatalog for individual departments or organizations? Next Topic:How do I add a user defined field to customize catalog registration? Table of Contents > Admins - Catalog > How do I manage user defined fields for catalog registration?